Technology vlogs — also known as video podcasts — take center stage in Radio Active 36 as I run down the big list of video podcasts I watch every morning while eating my Cheerios and feeding the baby, including commandN, Digg Nation, dl.tv, Geek Brief and Geek Entertainment TV. I’ve also got news about the Stargate SG-1 Viewers Choice Poll, ramblings about resisting the urge to pull an all-nighter, and thoughts on geek interior design. In the olden days, before kids, I used to pull occasional all-nighters, getting a huge amount of work done in the hours between sun up and sun down. Since Jordan was born, the frequency has dropped to something like once every six months, and since Luc was born, well, not at all. But the urge to do one has been growing for months. I once heard of a study that concluded that the occasional all-nighter was a good way to fend of depression, and its certainly something I occasionally crave. To be up at 3 a.m., with no one but the crickets around and the sound of my hands flying over the keyboard, well, there’s just something deeply satisfying about that. Sure, it’s not a brilliant idea. Or even a particularly good one, as I will pay in pain and sleep deprivation the next day, and that’s without the baby deciding to pull an all-night of his own the following night. But man … it sure does feel great when you’re doing it. Sue and I are upgrading our living room/library area. We’re trying to make the place look a little classier, throwing out the old remnant rugs and getting real carpet install (yes, hardwood floors are beautiful, but dogs scratch the hell out of them). We’re looking at painting one or more walls, buying (or at least painting) some furniture. I’m also pushing for some sort of a nice looking computer workstation downstairs, maybe something put in one of the corners, maybe something under the window in the library, where I can set up my laptop and (eventually) have an iMac. Getting to the third floor to work in the office involves way too much scheduling and hard work; having a workstation downstairs means I can actually get some stuff done (as recent experiments with an existing table have shown). Looking around downstairs I noticed that aside from my third of the bookshelf, there’s really none of “my” stuff there, meaning geeky stuff. But I’d love to find a site that sells posters based on book covers, like say Stephen King’s Dark Tower, Larry Niven’s Ringworld or any of the other classics. Fun tech news and tips show featuring Mike Lazazzera, Brian McKechnie, Jeff MacArthur and Amber MacArthur, all of whom have varying experience with tech, video and G4. Hosts Kevin Rose and Alex Albrecht (former co-hosts of The Screen Savers on G4techTV). Harkens back to an error of geek tv I never saw … because I didn’t get Tech TV and don’t’ get the purged G4). Amusing tech news show with the standard news desk format. Latest show had the very amusing Technobunny, an interactive bunny that lets you know when someone IMs you by either moving its ears or speaking the text. Also included PDF printing solutions, strange and creepy, but fun tech. 40-50 minute show highlights the stories people have been voting for on Digg.com. Recent stories included TMNT trailer, the DS Opera Browser in Action, Yahoo’s unrestricted MP3 downloads. Hosted by Patrick Norton and Robert Heron, other ScreenSavers survivors. Short 4-5 minute segments hosted by Cali Lewis which describes itself as ” fast, fun, fresh and flirty.”, and that about sums it up. Random Geek culture news, featuring things like nerd salons, robogames, security convention news. 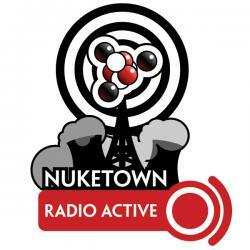 Send comments to nuketown@gmail.com; skype me at username nuketown.